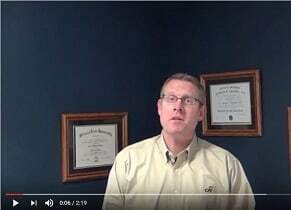 This week’s International Association of Interviewers interview and interrogation training tips from the archive, provided by Wicklander-Zulawski, feature Wayne Hoover, CFI, looking at the soft accusation assumptive question during an interview. “What was the most amount of…” is the structure of this interviewing question. When you ask a suspect this question, you can expect three different responses. They could deny, they could admit, or they could hesitate. After one of these three responses, the interviewer needs to have their three transitional statements ready to react to their response. Interviewers do not want these questions to be too specific in nature as to give up the evidence in the interview room and limit the admissions as part of development. Nor do the interviewers want to be so broad as to confuse the subject at crucial time in the interview. A good interviewer has six soft accusation questions at the ready for a loss prevention interview. They are not too specific, and they are not too broad. The six questions are categorized in three different areas: first time, last time and most at one time. Many interviewers have some similar issues when asking the follow-up question. So the question we have to ask ourselves is “What do we expect to happen when we ask this question?” Many interviewers assume the subject will deny. Our response to this answer is why would the interviewer be asking the question then if the interviewer expects this response? The expectation should be either an admission or a hesitation. A proper interview would have the hesitation occur and the interviewer immediately follow up with an exaggeration question to obtain the truthful admission. The other issue is, some interviewers take the term “hesitation” too literally and let the subject hesitate and work themselves into denying involvement of the issue they are being asked about. This really is the interviewer’s fault. As you see in this tip, the proper response is to be at the ready to deal with the hesitation with the proper follow-up question. The Choice Question is a good versus bad option, with either choice chosen by the subject being an admission of their involvement in the issue they are being interviewed about. The interviewer also has to keep in mind when using the Choice Question, the interviewer will still have to have a follow up question in mind to help the subject admit. The interviewer accomplishes this by repeating either the good or bad option depending on which admission the interviewer is trying to draw from the subject. The last consideration for the Choice Question is to make sure the question directly relates to the interviewer’s rationalizations that were used during the interview. Every loss prevention investigator should strive to enhance their investigative interviewing skills as part of an ongoing commitment to best-in-class interviewing performance. This includes holding ourselves to an elite standard of interview and interrogation training that is ethical, moral and legal while demanding excellence in the pursuit of the truth. The International Association of Interviewers (IAI) and Wicklander-Zulawski (WZ) provide interview and interrogation training programs and additional guidance to investigators when dealing with dishonest employees, employee theft, sexual harassment, policy violations, building rapport, pre-employment interviewing, lying, denials and obtaining a statement. By focusing on the latest information and research from experts in the field as well as academia, legal and psychological resources, these video tips provide interview and interrogation training techniques that can enhance the skill sets of professionals with backgrounds in law enforcement, loss prevention, security, asset protection, human resources, auditors, or anyone looking to obtain the truth. To learn more about interview and interrogation training, visit www.w-z.com or www.certifiedinterviewer.com. This post was originally published in 2016 and was updated December 3, 2018. Get critical information for loss prevention professionals, security and retail management delivered right to your inbox. Interview and Interrogation Training: When Is the Investigation Over? Interview and Interrogation Training: What Is the WZ Method?